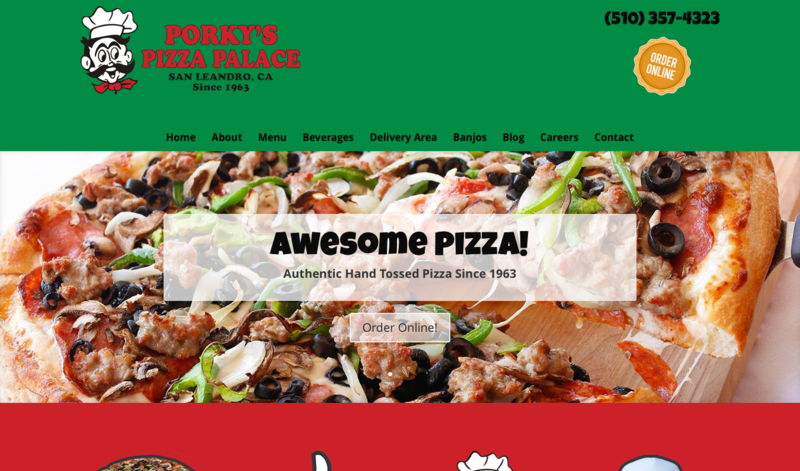 Porky’s is a family owned pizzeria operating in San Leandro. It has been a favorite of locals since 1963 serving the area’s best pizza alongside a mouth watering section of appetizers and local micro brews. Porky’s needed a modern website that display their menu and list of brews on all devices especially mobile phones. They also needed the ability to edit their menu and prices quickly and easily.